Fewer than one in four people now believe that following Islam is compatible with a British way of life, Britain's most senior Muslim minister will warn today. 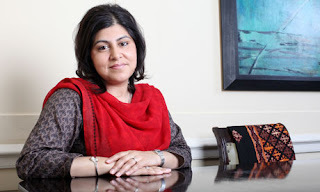 Highlighting unpublished research showing that a majority of the country now believes that Islam is a threat to Western civilisation Baroness Sayeeda Warsi will say that “underlying, unfounded mistrust” of Muslims is in itself fuelling extremism. And she will cite new figures from the Association of Chief Police Officers showing that between 50 to 60 per cent of all religious hate crimes reported to police in Britain are now perpetrated against Muslims. “My fear is that seeing one community as the ‘other’ is a slippery slope that will enable extremists to advance their twisted interests unchecked,” she will say. “I don’t have to remind anyone what happens when an unfounded suspicion of one people can escalate into unspeakable horror.” Two years ago Baroness Warsi, who has responsibility in Government for faith and communities, was criticised claiming that Islamophobia in Britain “had passed the dinner table test”. Baroness Warsi said more work needed to be done highlighting Muslim role models such as Mo Farah. “To those who say that there is a conflict of being loyal to Britain and a Muslim, you have to look no further than Mohamed Farah,” she will say. “Our national hero is a practising Muslim. The double gold medallist saw no conflict between crossing the finish line in the Union Flag and dropping to the ground in prayer. ”In fact, he showed how seamlessly religion and patriotism can go together.“ She will also cite Muslim like her own family - who fought alongside British soldiers in both world wars. ”Thousands of Muslims from the Commonwealth fought alongside the Allies in both the world wars. These patriots fought and died for the freedoms we all enjoy today. “People like my two grandfathers who fought for this country long before my parents came to its shores. And you will therefore understand why I will not take lessons on loyalty from those on the extreme right who demonstrate the ideology of intolerance – the very fascism that my grandparents fought all those years ago.” It’s a matter for everyone who cares about Britain being the modern, equal, fair society that we want it to be." This is your nice post.This is a beautiful way to share the knowledge and provide the update to people.Islam is a universal religion which is fit fit for every way of life. It teaches us how to pass our life in various ways and conditions according to Quran and Sunnah.